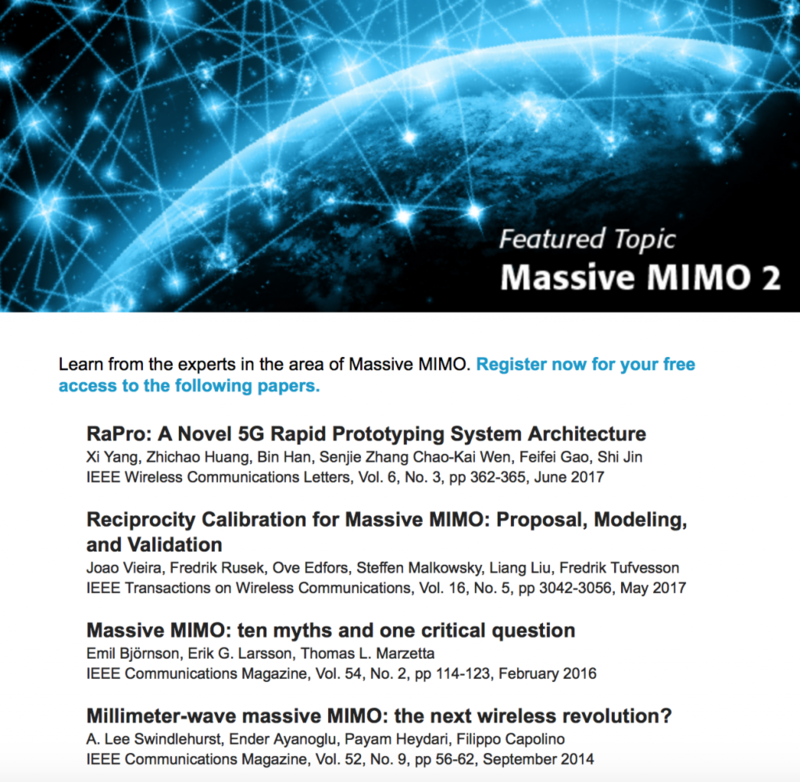 IEEE ComSoc provides new online material every month and in August the focus is on Massive MIMO. First, four carefully selected articles are offered free of charge, see the screenshot below and click here for details. More precisely, IEEE offers free access to the published versions of these articles, while the accepted versions were already openly available: Paper 1, Paper 2, Paper 3, and Paper 4. Second, a live webinar entitled “5G Massive MIMO: Achieving Spectrum Efficiency” is organized by IEEE ComSoc on August 24. The speaker is Professor Liesbet Van der Perre from KU Leuven. She was the scientific leader of the MAMMOET project, which is famous for demonstrating that Massive MIMO works in practice. You can expect a unique mix of theoretical concepts and practical implementation insights from this webinar.